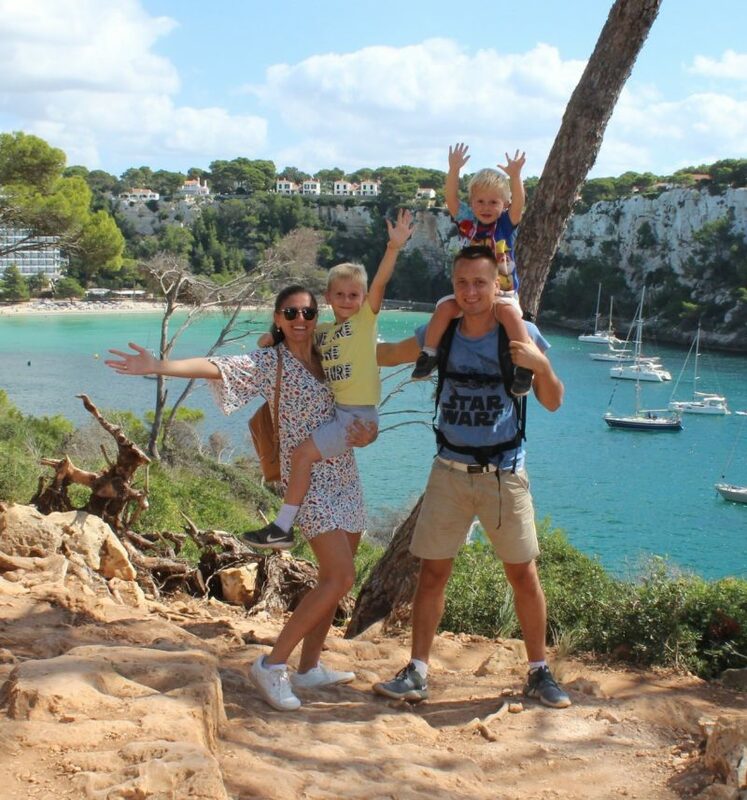 It was daddy´s birthday, it was a rainy and windy day in Barcelona, and this day we have planned an outdoor activity that was post-planned for a later date. 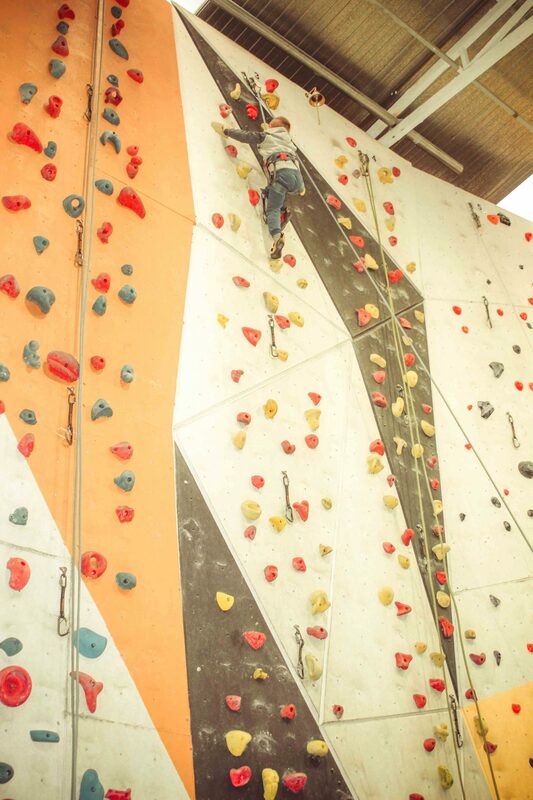 That is why, we decided to make an indoor activity, as indoor rock climbing. The idea, wasn´t bad, but we were not so excited, and apart, we could take only Damian, as Marc is too small for such an activity. Even though, the expectations were low, we have had such an amazing time there, as we couldn´t imagine. 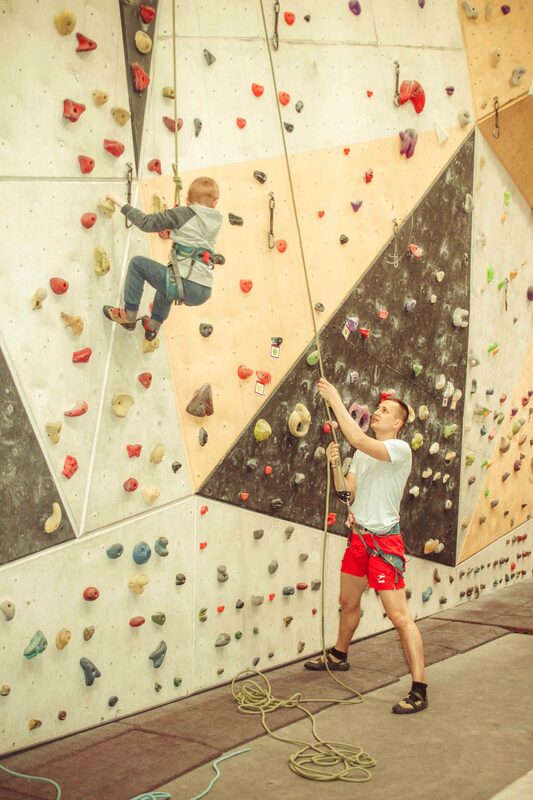 Rock climbing is a great fitness exercise for children. I thought Damian would be afraid to climb, but for our surprise he did it better than me. I think it is great to initiate your child into this activity for him to be physically active. 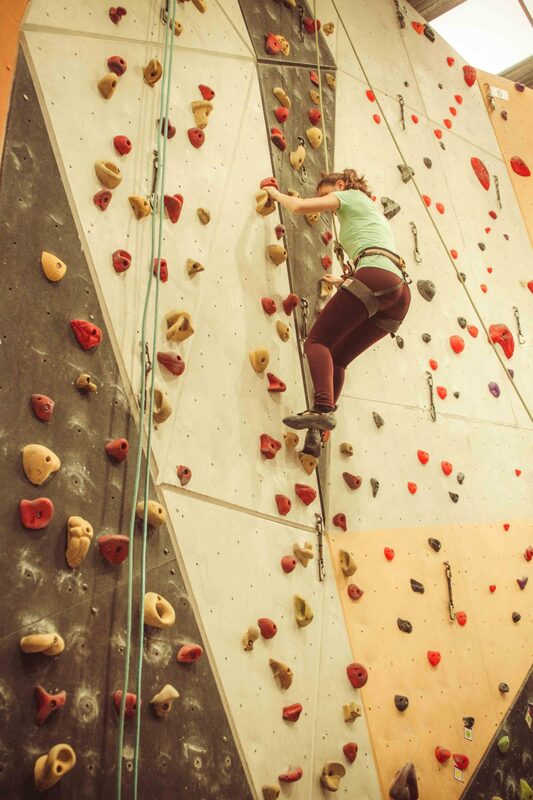 Rock climbing involves scaling a rock (hill or a mountain) using just your hands, legs and a safety rope tied to you. 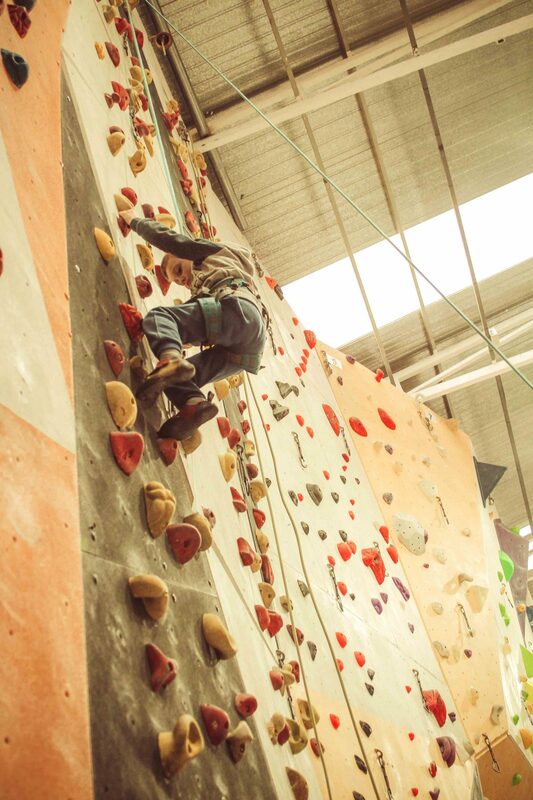 Indoor climbing is usually done on artificially built rock structures and allows you to climb any time of the day. 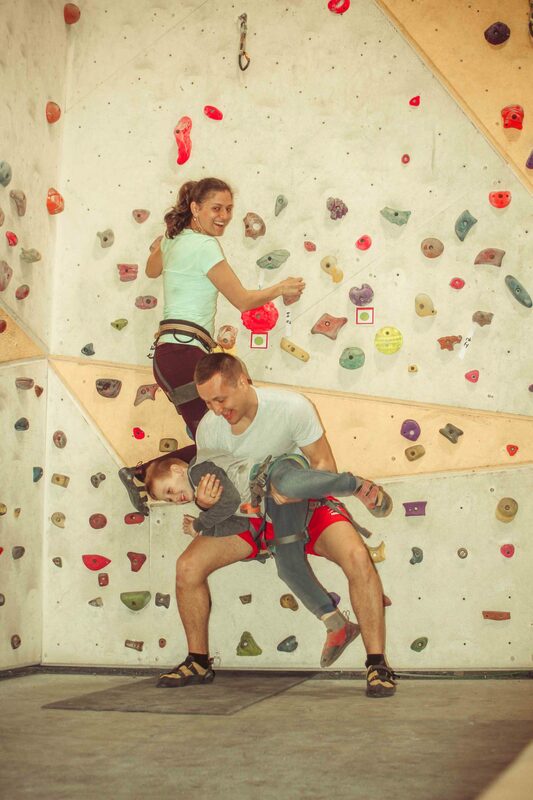 We used indoors climbing for fun, but we have seen there a lot of people were doing it improve theirs climbing skills and techniques. More for professionals. 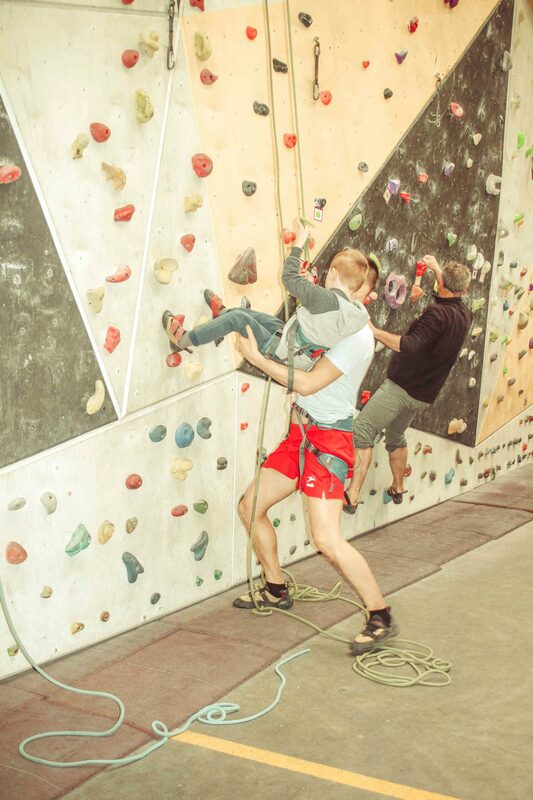 As it was our first time we went to an indoor rocks climbing, we have had to take an instructor. It is done for security reasons and that this activity to be less challenging for those who begin doing this. 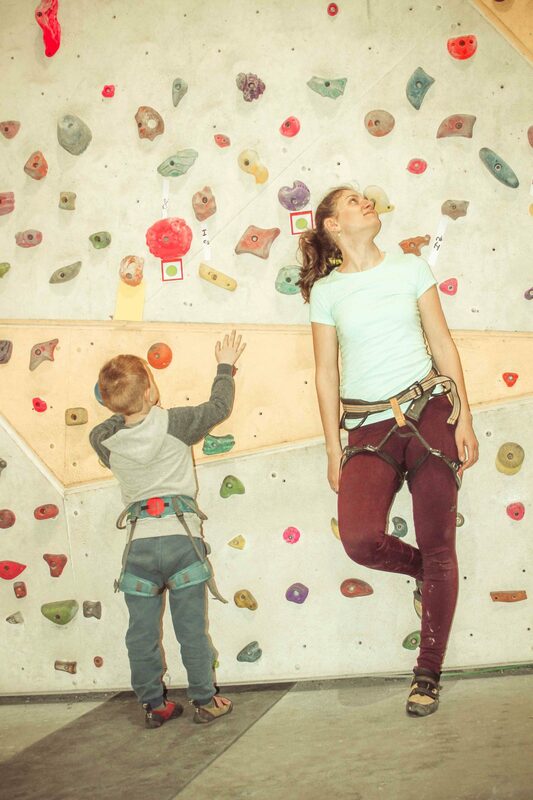 Climbing walls usually are of different heights and have varying levels of difficulty. We went for the easiest one, and after practicing few times, went to a more challenging one. 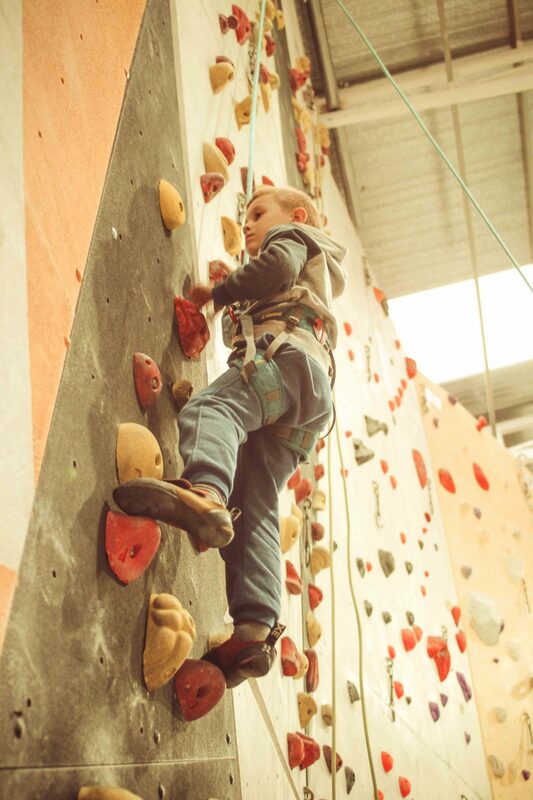 The good thing is that all climbing walls will contain polyurethane climbing holds that you can grasp while climbing. 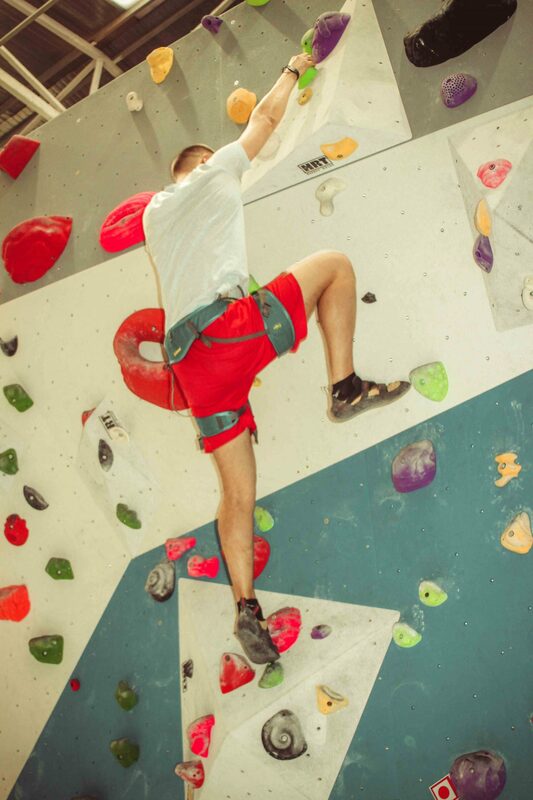 The more challenging climbing walls may have textures that replicate hilly or mountainous terrain and give almost real rock climbing experience. This one was experienced by daddy, as he was less afraid of such things. Brave dad! 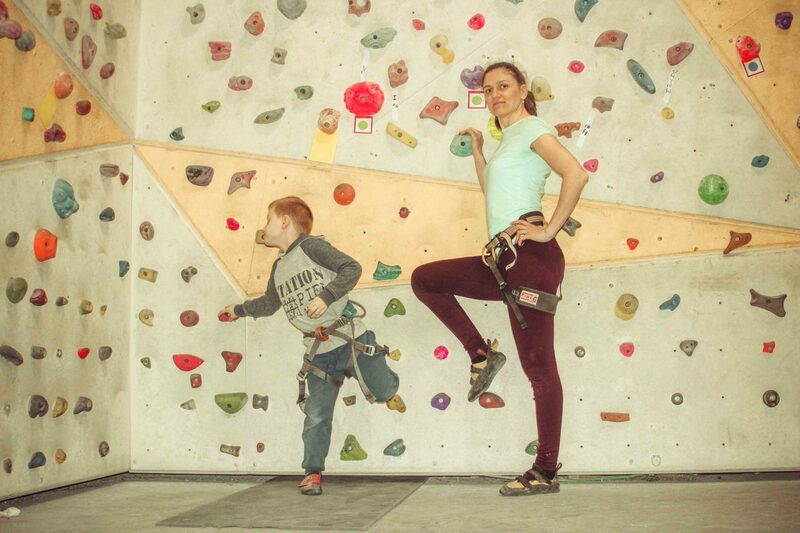 If you ever choose an indoor or outdoor climbing, as a mother, I would certainly advice you to choose an indoor climbing. 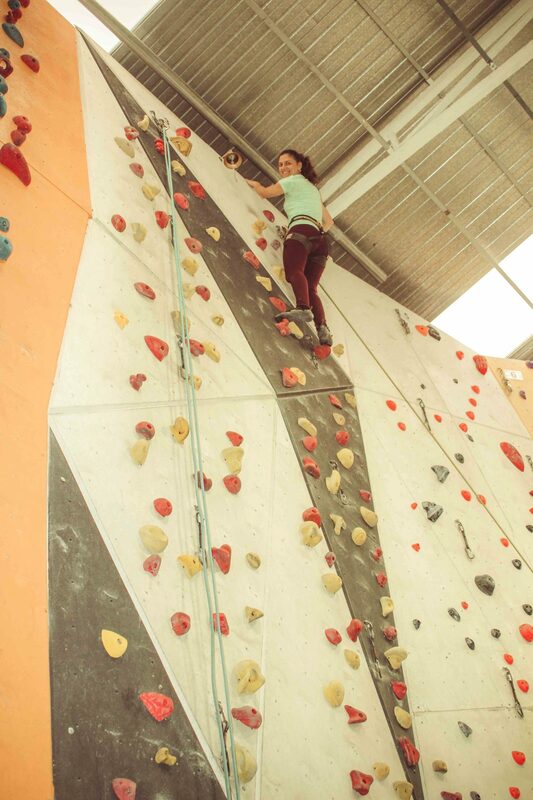 Indoor climbing is done in an environmentally controlled area and climbing the walls is safer than climbing real mountains. 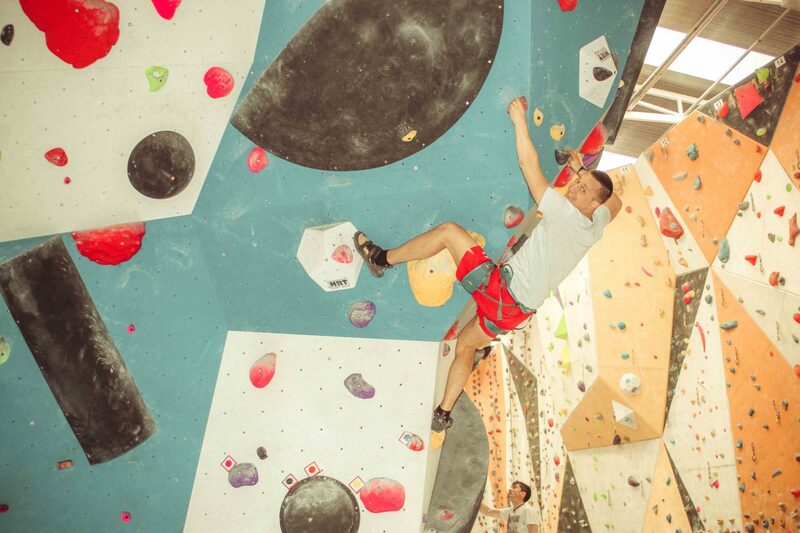 In indoor climbing, surfaces are visible and can be distinguished from the wall whereas in natural walls. It was so fun, that we even couldn´t imagine how exhausting is such an activity. Damian was so tired after climbing and I know why. 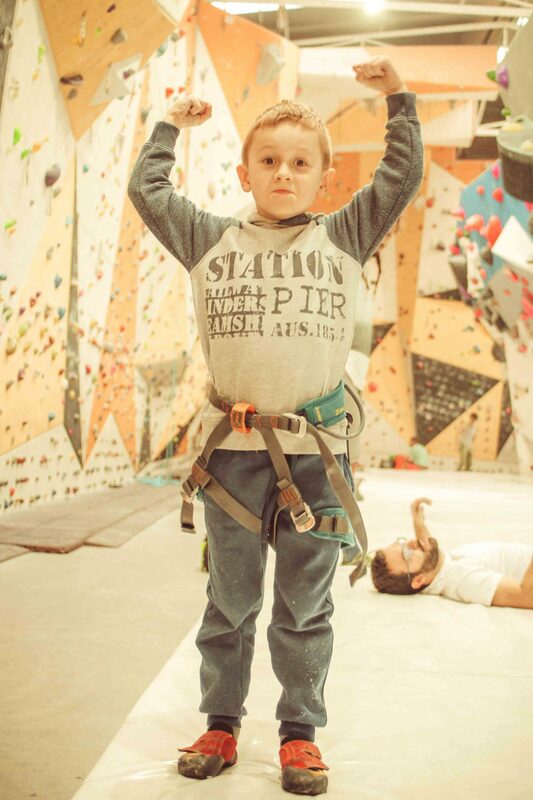 Climbing improves kid’s muscular endurance and flexibility, his overall balance and coordination skills. 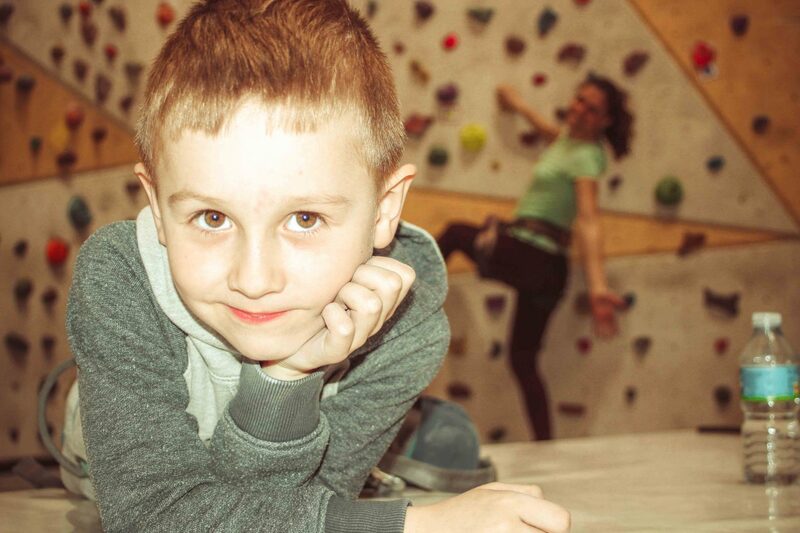 Kid moves from one phase of rock climbing to the next, it will enhance his confidence. 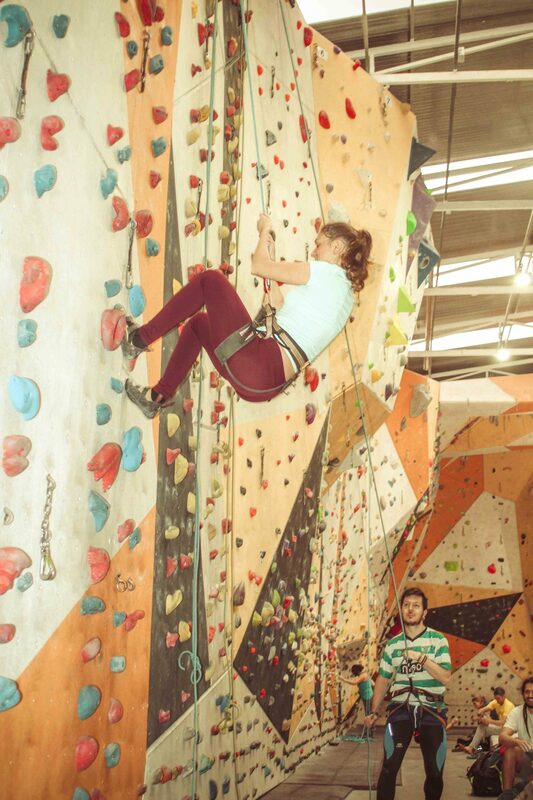 Safety while doing indoor rock climbing is very important. And that is why we were given an instructor who explains us all the details before we started. We were wearing proper safety gear, such asa rock climbinghelmet, and special shoes for climbing. Then we had to warm up and stretch, as we could prevent injuries during rock climbing. The feet had to be close, spread, or in stance, but the center of balance is focused on the body mass. It is also important to have the body close to the wall and the center of gravity balanced in forward-backward direction. As you can see, there are so many details to be taken into consideration. 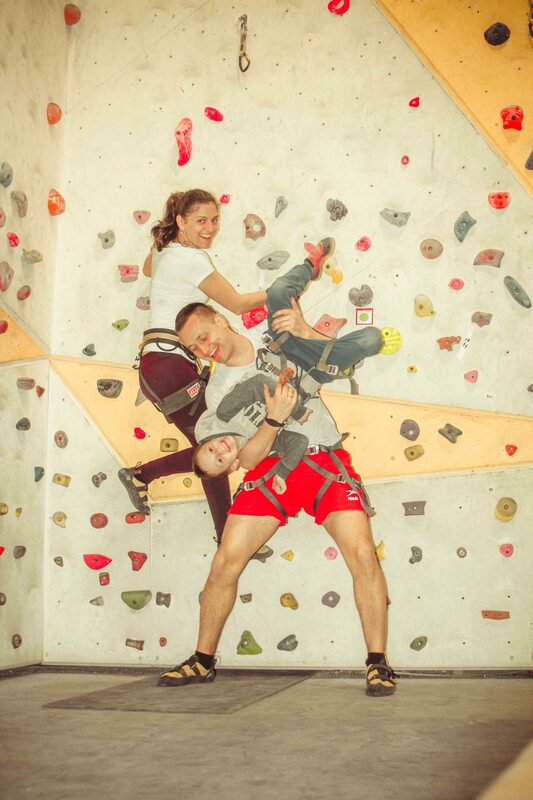 An instructor is indispensable for your first climbing experience. Previous Post Sagrada Familia. Best time to visit. Where to spend the day with 2 kids. Next Post Discovering Sant Pau Recinte Modernista with Barcelona es Molt Mes. Waaaaw! Outstanding idea to spend time with family! I like it! This is nice Dumitru and Ala. Exposing your kids to this kind of sports at an early age. Best regards from Taiwan. Thank you Lydia for stopping by. It is always a pleasure to read such comments.